Hera Ceramic Iron Just $37.99! Down From $300! PLUS FREE Shipping! You are here: Home / Great Deals / Hera Ceramic Iron Just $37.99! Down From $300! PLUS FREE Shipping! 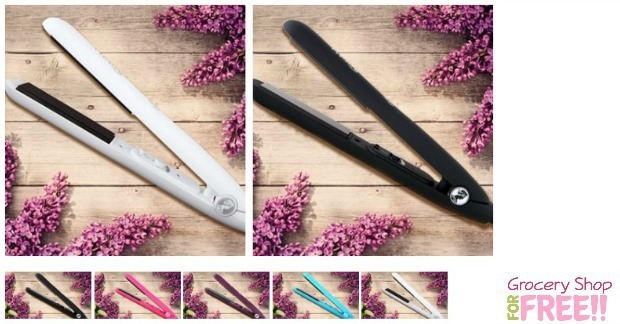 You can get this Hera Ceramic Iron for just $37.99 PLUS FREE shipping! This is normally $300! What a great deal! Don’t wait if you want one – the Turquoise is already sold out and there are only 8 Purple left! Enjoy beautifully flawless hair with the HERA 100% black ceramic straightener. Ceramic technology utilizes negative ions to seal the cuticle, repel humidity, and lock in hair color. This is accomplished with high-quality plates that radiate far-infrared heat for a constant and even temperature that will never damage or break even the most delicate hair.